Leadership expert, Fortune 500 consultant, and founder of the Core Leadership Institute, Nick Craig brings to the page his enormously successful message and methods of leading from purpose and provides a new framework for how we can lead ourselves and our teams to achieve our most ambitious goals. 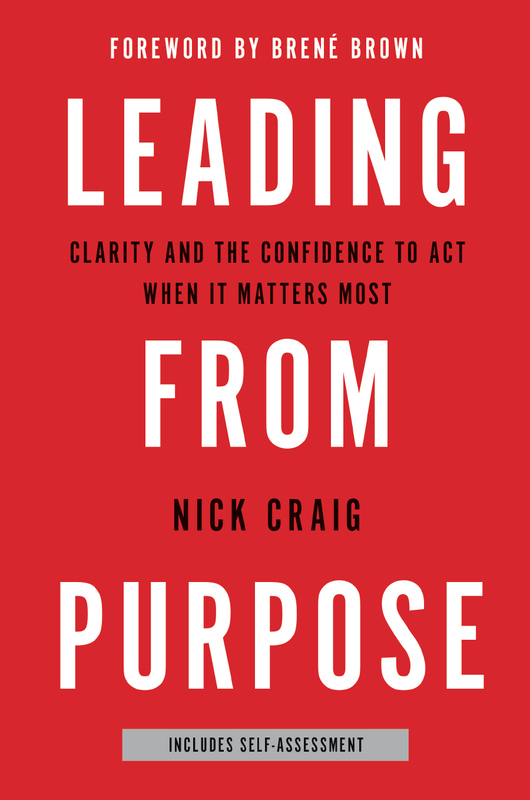 Drawing on ten years of experience working with global executives, Nick Craig takes you on an engaging journey to understand what purpose really does for leaders. Nick not only explains what it is and isn’t. He also offers you a method to find your own. There are three gateways to purpose and you will engage with each of them. Throughout the book, leaders from around the world and all walks of life share their unique stories of the true impact of leading from purpose. Many of them shed light on what you might expect purpose’s gifts to be, such as clarity, focus, and the confidence to act especially in the unknown; some show how purpose can be the source of what energizes us most. At other times, you will meet the counterintuitive nature of purpose, how it redefines your relationship to stress, allowing you to thrive where others just survive, or compels you to postpone momentary happiness in favor of sustained meaning and impact. The final chapters of the book demonstrate that as we begin to lead more consciously from our purpose, we immediately begin to see the places we don’t live it personally, professionally and socially and this becomes our opportunity to close the gap. This may even compel you to put aside one of your greatest strengths to truly lead from purpose or push you out of your comfort zone. Purpose gives us the courage to step out of the safety net and lead us in pursuit of greater meaning and impact. How well are you leading from your purpose? We represent a number of highly engaging and compelling speakers with keynotes prepared on the topics of purpose and authenticity. 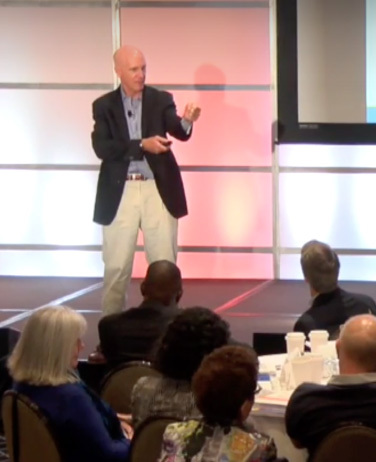 Nick Craig, President of the Core Leadership Institute and author of the newly released book, Leading From Purpose, is our featured speaker and has presented keynotes at events including the recent DNA of Leadership sponsored by The Conference Board in New York and San Diego.